The American legal system can be a complex and comprehensive organism. It's for good reason that lawyers must pass years of school, practice and a bar exam as they must be able to make sense of a number of laws, ordinances and other complications. Therefore, it's not uncommon for more illegal activity to be uncovered through depositions and hearings than what investigators and lawyers had originally perceived. While these findings can elongate and complicate a case, they are ultimately for the better, as they can eradicate many issues that may not have been known. One example of this comes from the Palm Beach Post, which acquired the deposition transcripts involved in a major corruption case. According to the source, 700 pages of deposition transcripts showed a high level of corruption prevalent in the local government. This includes secretly taped phone calls and private meetings. This resulted in the arrest of Boynton Beach Mayor Jose Rodriguez. The transcripts also revealed that the Governor ordered the police chief and city manager to stop an investigation into a domestic abuse report against him. While Rodriguez may have publicly denied this, multiple deposition transcripts showed the chief and manager stated that he had committed this deed. These depositions led to a series of uncoverings that allowed authorities to allege charges of corruption and bankfraud. While the mayor is currently suspended, his trial is still ongoing. For major cases that involve public figures and hours of taped phone calls, investigators may need to rely heavily on the services of realtime court reporters. As these professionals are able to accurately record depositions and hearings, litigators can ensure that they, and their clients, have the best materials available to prepare for their trials. 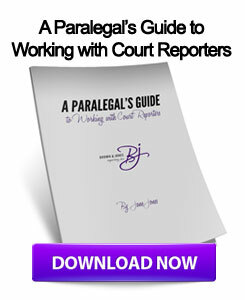 For lawyers in Wisconsin, partnering with Milwaukee court reporters can provide this benefit. This entry was posted on Tuesday, November 13th, 2012 at 11:04 am	and is filed under All Posts, Court Reporting News. You can follow any responses to this entry through the RSS 2.0 feed. You can skip to the end and leave a response. Pinging is currently not allowed.